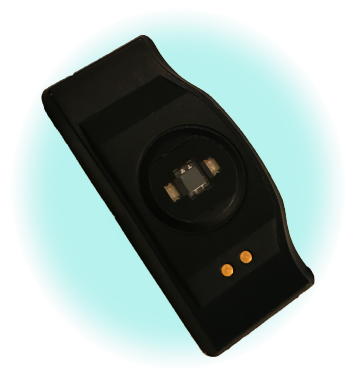 Rithmi is a non-invasive and widely used wearable device, responsible for recording data and detect arrhythmias in real time. Our technology uses a registration system based on photoplethysmography (PPG). The PPG sensor measures the intensity of the light reflected by the surface of the skin and the red cells that are closed to determine the volume of bold in the respective area. With these data we get a wave of heart pulses and we can determine when each heartbeat occurs. With this technology and the development of an own algorithm capable of detecting possible arrhythmia in the heart, allows us the monitoring of the health of the user in their daily activity and with an accuracy close to an electrocardiogram (ECG).